The EMPOWER system will be based on established interoperability standards aiming at integration with existing Personal Health solutions. Healthcare is well known to be fragmented institutionally and this will continue with the increasing specialisation in the medical area. This implies scattered patient data between health providers and patients. Hence, an essential backbone will be electronically exchangeable patient data. Semantic interoperability for patient data occurs on different levels, from technical/syntactical interoperability via partial semantic interoperability to the point of full semantic interoperability. Using standards for these patient data (e.g. HL7, IHE profiles, medical terminologies) is seen as a prerequisite for semantic interoperability. Furthermore, electronically available patient data allow specific services. A higher degree of semantics facilitates more specialised and personalised services. EMPOWER develops a modular and standard-based Patient Empowerment Framework which includes an open-source PHR system. EMPOWER aims to provide services which can be used by other health applications, e.g. 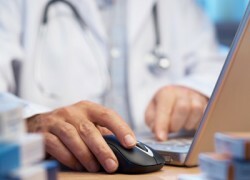 existing EHR or PHR systems. Additionally, EMPOWER will also include services from those health applications. In order to support semantic interoperability EMPOWER utilizes appropriate standards from the HL7 and IHE Profiles, as well as CEN 13606 information models.